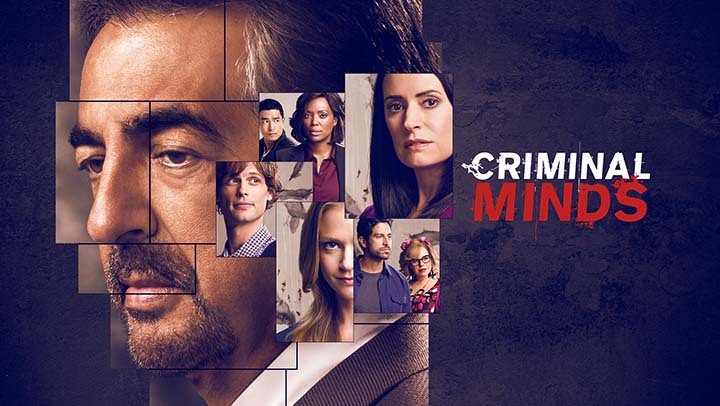 When it comes to a show like “Criminal Minds”, there’s one thing you can count on: it will, for better or worse, follow a typical formula each episode. We’re familiar with the setup by now: opening scene sets up the case, Garcia introduces it to the team, they work it and deliver the profile, there’s one final victim they (usually) save, the unsub is taken down. Pretty simple. In some ways, the routine is appealing. You know what you’re gonna get and it doesn’t require a lot of complicated back and forth, which can be comforting, especially with a show as dark as this one. But of course, that very routine is also precisely why procedurals often get criticized, because in this day and age, that kind of predictability can, to some, become boring after a while. One thing I do like about this show, however, is that every so often, they have an episode that doesn’t follow their typical formula. Even a simple change in directors can have an effect – look at Gubler’s episodes, for instance. They often go off the beaten path, and there’s always some weird element that makes them feel a bit otherworldly or eccentric. The episodes that play with the format in some form or another tend to be favorites of many fans, as they allow the show to stretch its creative wings a bit. We get to see the team tackle a case in a new and unusual way, or we learn some interesting things about the characters in the process, or a case ends in a way that nobody expects. On the one hand, it would be nice to see these kinds of episodes more often, but I also feel like having them happen every once in a while makes them special treats of sorts for the fans. All of this is to say that this latest episode is yet another one of those special treats. They still do hit the occasional familiar beat throughout, but there’s enough changes to how the team does things to keep things unpredictable. The setup also allows every team member to contribute in some way, which is nice, and gives us an intriguing, and surprisingly emotional, case as well. There’s a few nitpicks here and there, but they thankfully didn’t overshadow the good aspects of this episode. So as always, let’s see how things played out, shall we? Two girls are hanging out together, with one snapping photos of the other. People are milling about the street around them, going about their daily business. Typical day playing out. That’s all quickly disrupted, however, when a man runs down the sidewalk towards the girls, screaming and covered in blood, as a guy with a machete follows right behind and attacks him. The bleeding man collapses on the ground, and the unsub, after attacking him a couple more times, just...stands there, glaring at everybody. The lower half of his face is obscured by a bandana, but there’s still plenty to go off of for a description. As he flees, everyone immediately rushes to help. One of the girls stays by his side, while the other calls 911. It’s around this time that the EMTs and the local police arrive at the scene, and they’re joined by Emily, Matt, and JJ. One particular agent, a man named Andrew Mendoza, fills Emily in on the details of this attack. Apparently, this is the third one within the last hour, as two other similar attacks happened, the first starting shortly after noon. Each attack has occurred every half hour, which means time is very much of the essence in catching this guy. The first things they need to try and figure out are, of course, the unsub’s motive, and where he might strike next. Unfortunately, the first victim died from their injuries, but the other two are still alive, though in critical condition. JJ and Matt look at a video of the latest attack, recorded by the girl who’d been snapping photos, and conclude that since the unsub didn’t go after anyone else in the crowd, these attacks are intentional and personal. At the same time, however, the way he attacks them seems to allow them a chance to try and get help, which implies his intent isn’t straight up murder. There’s virtually no similarities between the victims in terms of looks, ages, and the like, but there is one unusual thing they do have in common: they were all found in neighborhoods they weren’t known for passing through. Perhaps the unsub has a personal connection to those specific neighborhoods, or maybe the victims had a secret reason of some kind for being there. Reid also notices that the neighborhoods seem to have a pattern to them: rich to poor and back, and what’s more, the unsub would need to use some kind of transportation to get to them. Mendoza finds another interesting pattern in the unsub’s M.O. He looks back through all the 911 calls related to the attacks...and finds there were anonymous calls made to that number one or two minutes before the attacks actually happened. The calls are coming from the unsub! There’s a twenty-seven minute interval between each phone call, too. That’s clearly not a coincidence. So why that particular number? On the plus side, now that the team has a general timeline, they can use that to their benefit and try and prevent yet another attack. Unfortunately, as they’re trying to deal with that, the team has to deal with a side issue involving a vigilante shooting a man he believes to be the unsub, only to learn afterward that he shot an innocent man. Yet another reason why the team needs to work fast to solve this case. Last thing they need are more citizens taking the law into their own hands. Back at the BAU conference room, Tara, Luke, Garcia, and Rossi discuss the neighborhood issue, and discover that the unsub has been abducting all the victims and leaving them in these places intentionally. Rich people are being dumped in poor neighborhoods and vice versa, which indicates the unsub’s making a statement about inequality, and who does and doesn’t “belong”. The means of abduction lead Luke and Tara to hit on the next piece of the puzzle: the unsub has a partner. At one point during the case, Rossi checks in with Luke, to see how he’s handling Emily’s recent punishment of desk duty. It’s clear he’d rather be in the field, but even so, he’s still handling it okay, all things considered. That punishment is short-lived, however, as Emily soon asks him to help out in the field. She makes the decision just in time, too, as Luke, JJ, and Reid wind up at the scene of yet another attack. Luke charges off in search of the unsubs, while Reid and JJ stay behind to try and tend to the latest victim. Reid puts all his effort into reviving the man as they wait for the EMTs, but his efforts are for naught. To make matters worse, some idiot in the crowd films the entire rescue attempt, and it winds up online. Fortunately, Luke does manage to nab one of the unsubs, a man named Marcus. Emily tries to talk to him, ieven playing the sympathy angle, but he ain’t having any of it. He taunts Emily, reminding her that the clock is ticking down to yet another attack. That’s when Rossi learns about an incident that may reveal the unsubs’ motive. Their first victim moonlighted as a bouncer at a club. Why is that important? Because despite his job, he wasn’t able to stop a young man, aged eighteen, from being stabbed to death at that club the week before. That man’s name was Tom...and he was the younger brother of Marcus and his brother James. Want to guess who Marcus’ partner in crime is? The man who killed Tom has been arrested and is sitting in jail awaiting trial, though, so there’s something else that’s making James and Marcus angry. Emily tries to talk to Marcus again, and his anger really lets loose this time. He defends James, insisting he was a good brother who’d worked hard to take care of both him and Tom, and starts ranting about how people like Emily just don’t care about people like him and his brothers. He also acknowledges that the number twenty-seven “means everything”, and Emily has an idea of what he’s talking about now. Turns out the night Tom was killed, James and Marcus called 911 nine times, yet it still took twenty-seven minutes for the EMTs to arrive. By then, obviously, it was far too late to save Tom. Marcus and James are certain that time delay was intentional, as history has shown that the 911 response time for black/poor neighborhoods is far longer than it is for white/rich neighborhoods. It’s an appalling statistic, and explains perfectly the message they were trying to send. With this information, the team heads to the university Tom had been attending before his death, figuring James would pick his next victim there. Sure enough, after they arrive, James shows up and takes a young woman hostage. Mendoza tries to talk him down, and even offers himself up in place of the young woman. James goes with this suggestion, and attacks Mendoza in the process. Emily takes over at this point, and James goes on a rant of his own, talking about how the system worked the way it always does and how powerless he felt to save Tom. He wants to make all these people suffer the way he and his brothers suffered. James then tries to attack Emily, but she makes a few quick moves that subdue him long enough for him to be taken into custody. Afterward, the team celebrates the resolution of the case at the office, while the surviving victims, including the man shot by that vigilante, are reunited with loved ones and look to be on the mend. But it’s Emily who may have lucked out the most this episode. She goes to visit Mendoza in the hospital, happy to see he’s going to be all right with time. They chat a bit, before she suggests going for a drink together sometime when he’s better. Ooh. Mendoza goes even further, upgrading their possible outing to include dinner or a ball game. Judging from Emily’s little grin at the end, she’s totally on board with that idea. Looks like we’ve got yet another potential new romance brewing before us! This episode will definitely rank among my favorites of the season. I loved the real time setup for this case – it had the quick, rapid action of an episode like “Mayhem”. I always like the episodes where the team is actively racing against the clock, sometimes literally, to solve a case. It gives the events some real urgency and intensity, and that was very much the case here. The scene where they jumped back and forth between Luke’s hunt for the unsubs and Reid’s desperate attempts to save one of the victims did a great job of adding to the tense atmosphere, and made the loss of that victim all the more tragic. The real time angle also kept me on my toes in terms of figuring out the case, and while a couple of the clues may have hinted pretty strongly towards the unsubs’ motive early on (notably the use of twenty-seven minutes), it didn’t take away from the unpredictable nature of the case in general. Even the fact that we got a decent look at our unsub right from the start of this episode didn’t hinder the case, because that was just the tip of the iceberg. I also appreciate how involved everybody was throughout. Reid got to put his geographical skills to use, and even got to try and save a victim. I liked JJ and Matt teaming up to interview witnesses, as well as the way Tara and Luke discussed and analyzed each clue they got. Rossi and Garcia got to dig into all the backgrounds of the victims and the unsubs. And Emily did well at holding down the fort and keeping things moving and organized. It was a nice example of the team working like the well-oiled machine they are. It was nice to see them touch on an important social issue as well, as that’s one of the aspects of this show that drew me in in the first place. The problem of poor response time to certain neighborhoods has been a topic for decades now, to the point where the rap group Public Enemy even did a song about it back in the ‘90s. I appreciate the show reminding us it’s still an issue now, and I also like how it added to our sympathy for the unsubs. I could feel Marcus’ anger dripping off him, and James’ emotion when he was venting about his brother dying despite “doing everything right” actually gave me a lump in my throat. The show had done so well at allowing us to feel for James and Marcus with their pain and loss, in fact, that I was a little disappointed with the way they wrapped up the case. The local news praising the FBI was a good image to linger on, as I felt it tied well into James’ complaints about the system, and the fact that he and others like him will never be heard the way they should, not just with this issue, but others as well. But then we saw some of the team members celebrating the end of this case in the conference room, and I felt that didn’t quite fit with the general mood and tone of the episode. We know, of course, that the BAU does their level best to treat every case as equally as possible, and that they genuinely care about victims and unsubs that many in society mistreat and ignore. The fact remains, however, that they’re still part of that system. They work for a federal organization that’s had its own sketchy history when it comes to addressing similar issues, and have dealt with state and local law enforcement officials with similar prejudices. So I would’ve preferred seeing the team reflect on that at the end of the episode, discussing the ways they’ve tried to handle those problems, or things they and others in law enforcement could do better. As for other gripes, again, they’re minor, but...first off, while I loved Luke’s search for the unsubs, I also kinda wish they’d found another way to keep him involved in the case while still adhering to his punishment he received last episode. I think it would’ve been good to see how he used his skills in other ways, and I would like to see this storyline with his punishment last a few episodes, at least, because I think that’d make for an interesting little story arc, both for him and his professional relationship with Emily. I also wish they could’ve expanded a bit more on Garcia’s reaction to that video of the victim Reid tried to save, as well as Reid’s reaction to his death. I mean, those two did just recently go through a pretty traumatic event, and we know Garcia in particular was getting to a point where disturbing videos weren’t fazing her a few episodes back. It doesn’t have to be a whole big angsty thing, but it would’ve been good for Emily to check in and ask, “You guys okay?” at the very least. Or heck, maybe Reid or Garcia made observations during those moments that helped with the case. There’s also the fact that it would’ve made sense for Garcia to make the discovery about the unsub having a partner, considering her experience of being forced into a car prior to the events of “300”. It could’ve been a good example of her acknowledging and channeling her trauma in ways that proved helpful. Also, regarding Reid’s attempts to save that man, I think we can all agree that the CPR was not even remotely realistic or accurate, right? I can just imagine how many medical professionals watching that episode were ranting, “That’s not how it works!” But yeah. If that’s the extent of the things I can find to pick apart in this episode, I’d say that proves how much I enjoyed it overall. And continuing in the positive vein, I also really liked Mendoza as a character. He had a really nice cool, calm, collected presence about him, and I liked the professional rapport he and Emily had during the case. And the flirty back and forth between Mendoza and Emily at the end was adorable. I can totally see why Emily would be attracted to him, for the reasons mentioned above as well as the fact that he’s just flat out good-looking, and I’m interested to see what develops between them. What did you think of the episode? Did you enjoy the change in the show’s format? Was the case unpredictable enough for you, or were there any parts that you figured out early on? Do you agree with Luke returning to the field so soon? What do you think of a potential Mendoza/Emily romance? Share your thoughts in the comments!